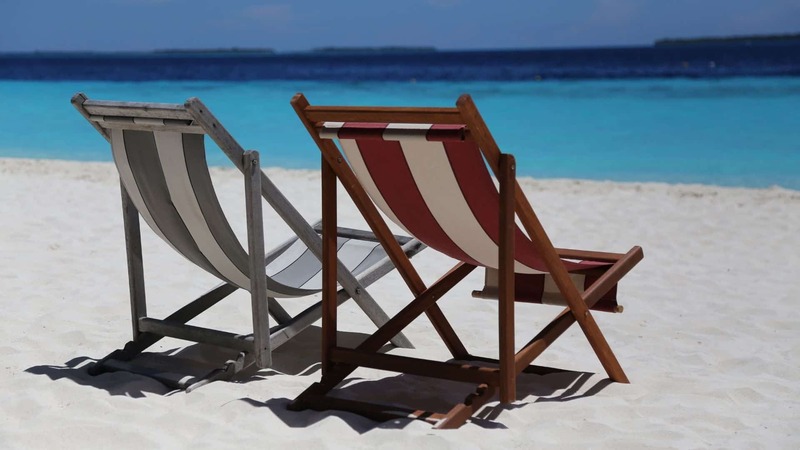 If you are taking your four year old to the beach, then you already know that you are going to have to plan activities and things for them to do so that they are not only entertained, but also safe. Without the right toys, you will find that not only is your child bored, but they may also try to wander away from you to find something to do. 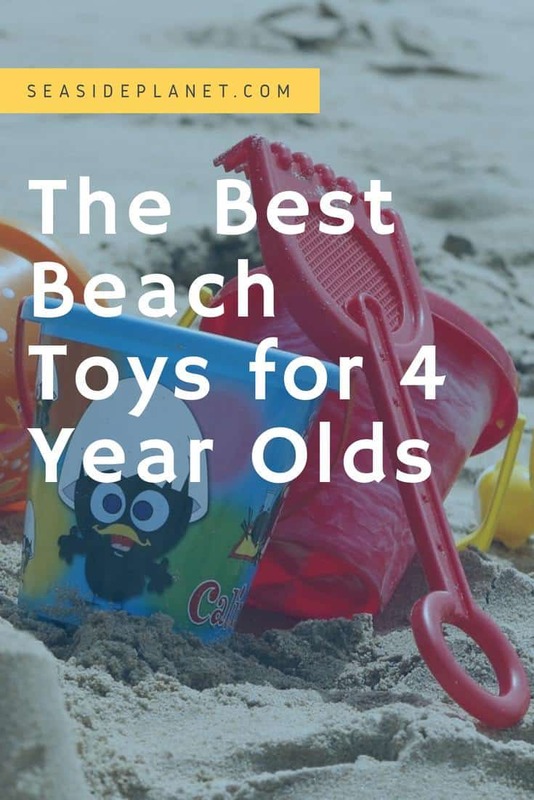 I know that you want to have the best possible time while you are on vacation, and that’s why I found the best beach toys for 4 year olds. Before you book your vacation, you will want to make sure that you invest in some of these toys so that you can not only know exactly where your child is at all times, but that they are having a wonderful time on vacation. 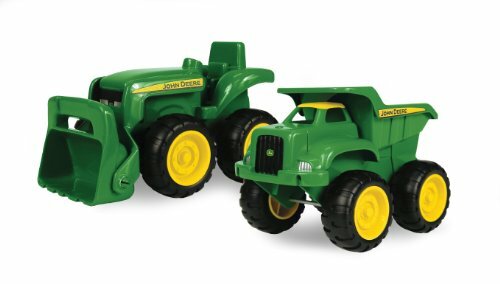 If your child loves to dig, then you will definitely want to check out these sandbox vehicles from John Deere. Rather than trying to bring their favorite truck from inside your home, which will not be built to stand up to having sand in the moving parts, you can opt for these toys, and you won’t have to worry about how well they can stand up to long hours in the sand. They are sure to keep your child entertained for hours, as they can dig, move stand, and bulldoze over castles that they have already built. Not only are these trucks built to withstand long days in the sand, but the high-quality plastic construction means that even when they are dropped, stepped on, or left out in the hot sun for hours, they won’t be damaged. You never have to worry about them fading or cracking, and they can be tossed in your beach bag with other toys and necessities without any fear of them breaking, which makes them perfect for quickly cleaning up your beach spot when you are ready to head in for the day. 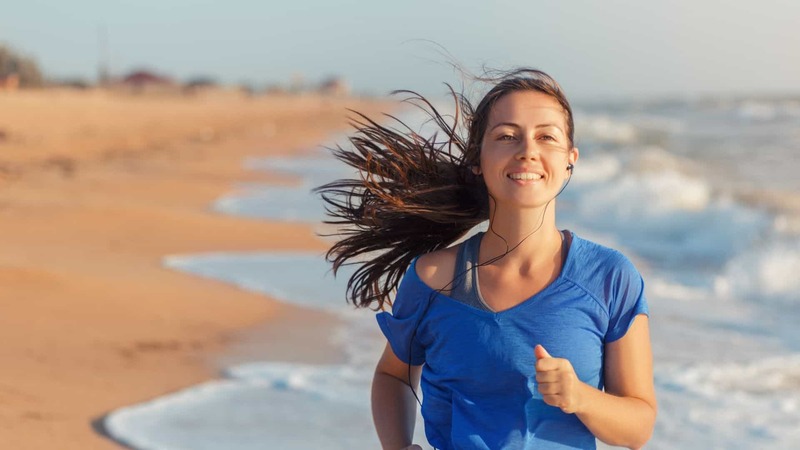 A quick rinse in clean water will wash away all of the sand and have them ready to go again for the next time you head to the beach. 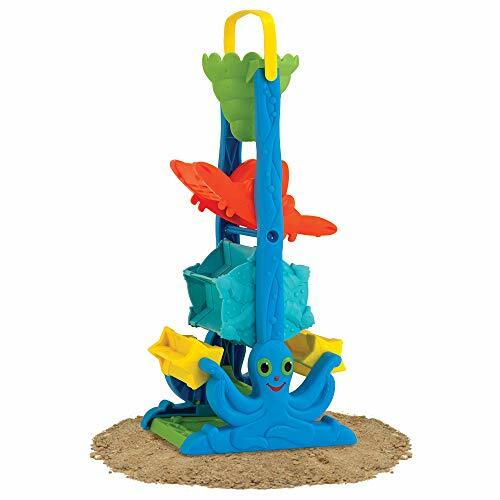 You won’t ever have to worry about whether or not you have the specific sand toy that your child wants when you opt for this set from Click N’ Play. 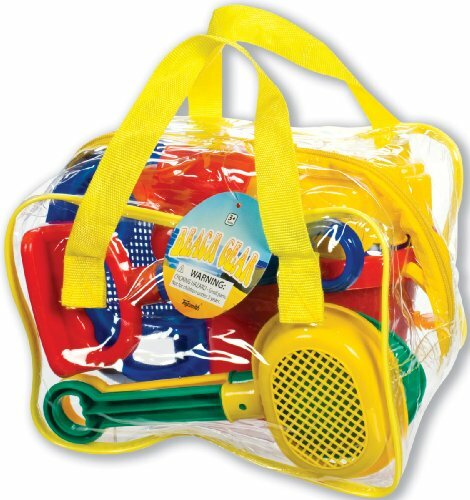 This 18-piece set contains everything that you and your child will need for a fun day playing in the sand on the beach, and the bright colors and designs are sure to spark your imagination. The set will help encourage creative play for hours and ensure that your child never gets bored, leaving your more time to relax and catch up on your latest book. Included in this set are 2 shovels, a watering can, 2 sand sifters, sand wheel, bucket, 3 racks, and multiple sand molds. 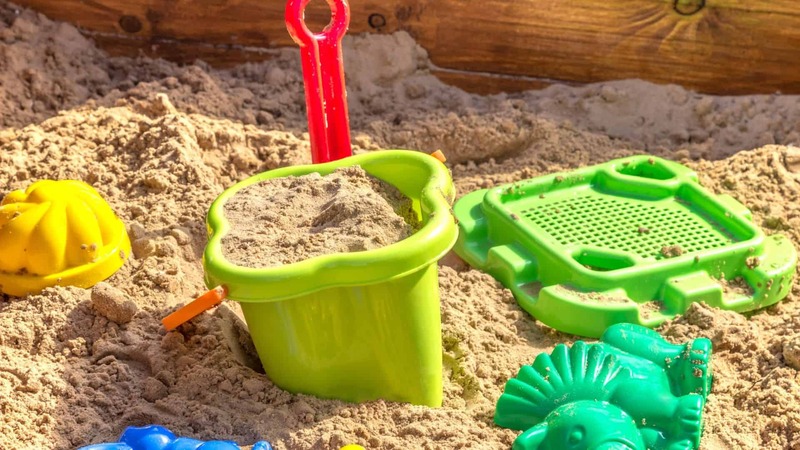 Whether your child prefers to dig or is interested in building a giant sand castle, this set has everything that they need to enjoy their time on the beach. Additionally, since everything comes stored in a mesh bag, you’ll know exactly where all of the toys are at all times, and sand can fall through the mesh so that your car doesn’t get filthy when it’s time to head home. This sand and water funnel is great if you already have a few sand or beach toys and are looking for something new as a gift for your four year old, specifically for them to enjoy on their trip. As a stand-alone toy, you can have confidence that this will be just as high-quality as any other products that you can buy from Melissa & Doug and that the bright colors, fun shapes, and cute octopus are sure to thrill your child. 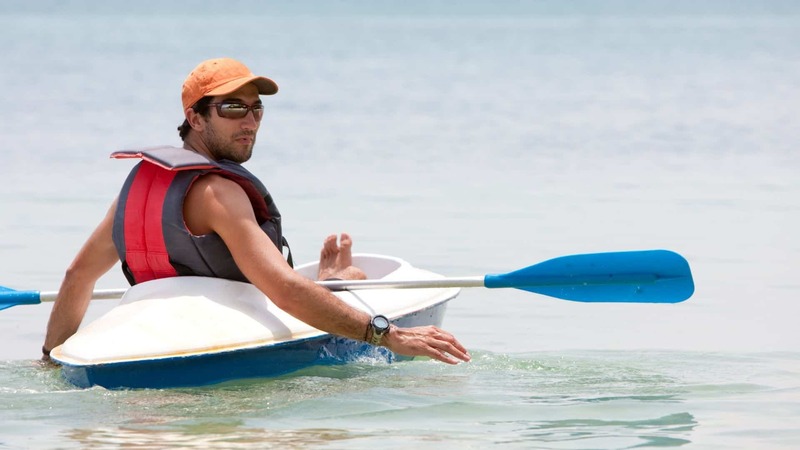 The convenient carry handle means that even when your child is tired, he or she will be able to carry the toy without help, and it also makes it easy to move from location to location on the beach. Made with funnels at different heights, this toy will spin and tip, as your child pours dry sand or water through it. Not only will it provide something fun for children to play with while you are at the beach, but your children will be learning and exploring as they use it, which I think is a great feature in any toy. The bright colors are fade-resistant, and the sturdy plastic can handle being dropped repeatedly or left out in the baking sun without cracking, which ensures that you can use this toy day after day without it fading or failing you. 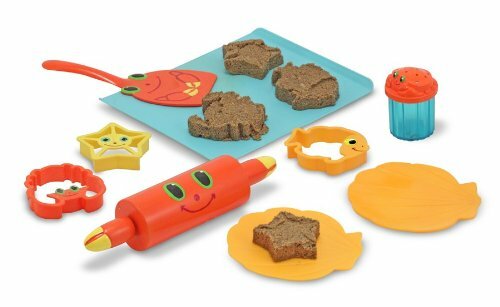 If you have an aspiring baker in your family, or your child simply loves helping out in the kitchen making cookies, then you will definitely want to consider this cookie baking set from Melissa & Doug for your next beach trip. These “baking” toys are all inspired by sea creatures, ensuring that they will look especially cute while you are at the beach. I love that there is everything that your child needs to “bake” sand cookies, including cookie cutters, a cookie sheet, sprinkles shaker, shell-shaped dishes, and a spatula. When your child is done baking for the day, all of the pieces can go back inside the mesh bag for a quick rinse and dry so that you don’t have to deal with sand dropping all over your things. Because your child can roll out and cut ocean-themed cookies for as long as they want, they are sure to enjoy creating a small bakery at the beach, which is a fun way to spend long hours on the sand. The pieces themselves are decorated with crabs, and the cookie cutters are in the shapes of cracks, starfish, and a fish, making them fun and exciting to use at the beach. There are a few basic toys that every child will need when they go to the beach to ensure that they are able to dig, build, and explore. Without these toys, you will find that you are running to the store to purchase them, but with this set from Toysmith, you can buy everything that you need all at once. This bright set is designed to last in the hot sun without fading, and I found that it contains all of the basic toys that your child could want. With a shovel-sieve, watering can, molds, spade, bucket, and smaller sieve, the only limit to the kind of play your child can enjoy is their imagination. Since the pieces are all so brightly colored, you won’t need to worry about misplacing them or having problems finding them when it is time to pack up and go home. 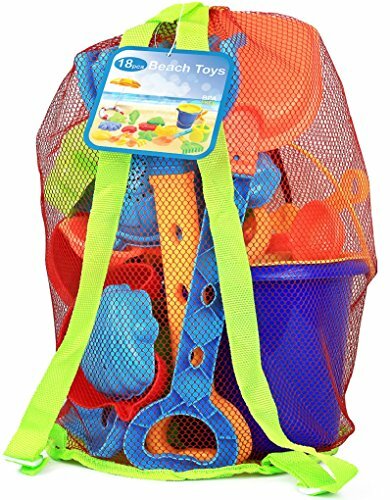 The included plastic storage bag is see-through so that you can easily find the toy that you want without problems, and it has handles to make carrying toys to and from the beach as easy as possible. 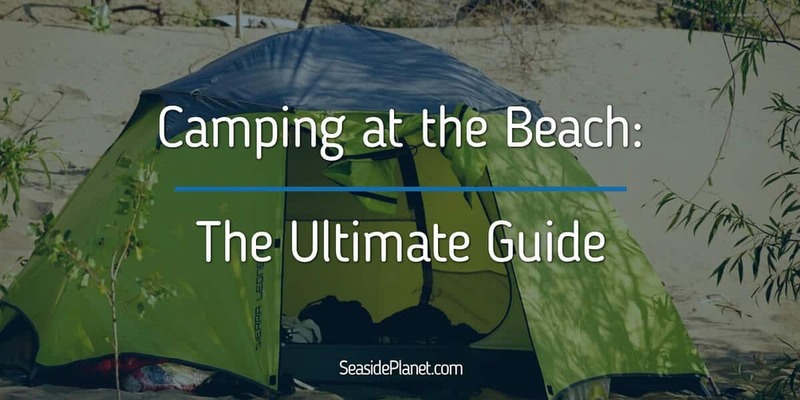 I know that preparing for a beach trip takes a lot of planning, which is why I created this great list of beach toys for you to consider taking for your four year old. 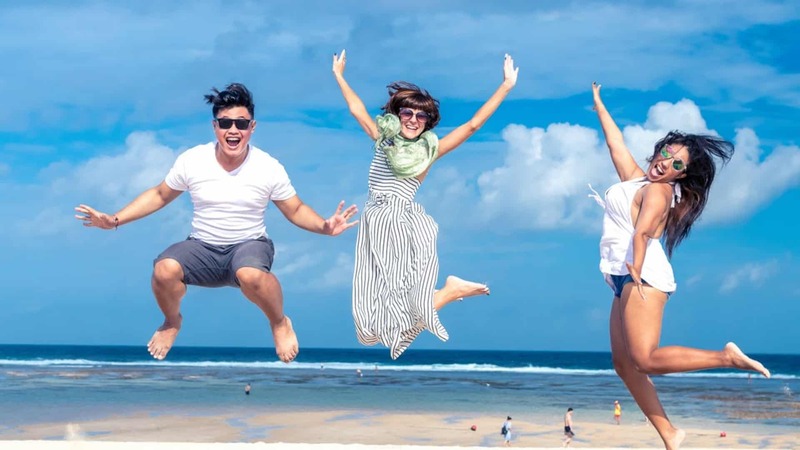 Make sure that you are prepared with activities and toys for them to enjoy while you are on vacation so that everyone has the best time possible. When considering beach toys, make sure that you choose ones that will appeal to your child and that you think they will get the most use out of. This will keep them from getting bored and means that they will be willing to play with the same toys multiple days in a row.